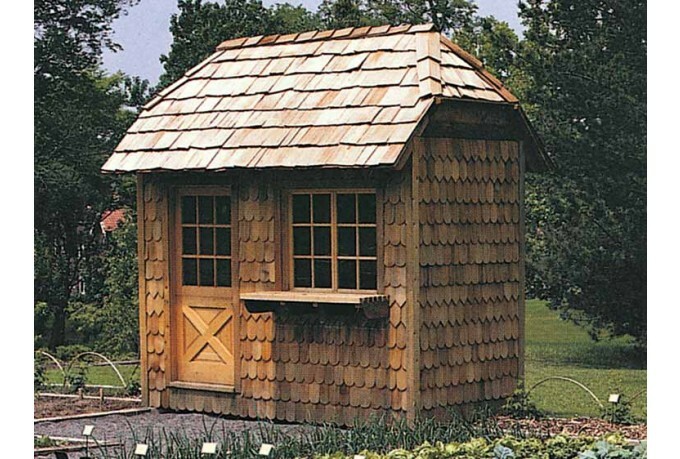 Designed to blend into the garden surroundings, this cozy little building keeps all your garden tools and supplies at your fingertips. You can vary the materials to create the appearance best suited to your site. This seventy-two-square-foot structure is large enough to accommodate a potting bench, shelves, and an area for garden tools.